Skewers and grates not included. CHARCOAL GRILLING: Using natural charcoal is the best and healthiest way to grill. The smoke penetrates and cooks the food, giving it that unmistakable aroma and flavor. UNIQUE TECHNOLOGY: Our grills contain specially engineered air ventilation holes that allow for an even flow of air circulating through the grill. 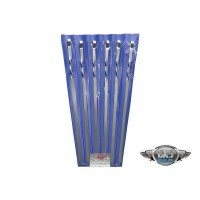 This allows the charcoal to burn evenly and prevents excess and spot heat. 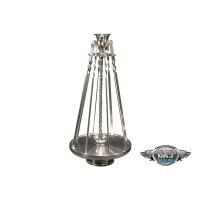 Your BBQ will cook evenly on any corner of the grill! 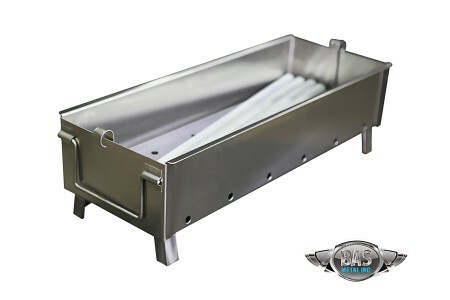 The charcoal tray creates a layer of spacing between the charcoal and the grill bottom which helps the even flow of air. The tray also serves as a skeleton to prevent the grill from warping. 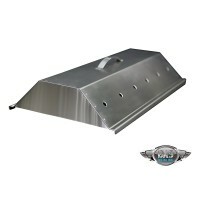 The handles and grill bottom will not overheat or burn any adjacent surface. 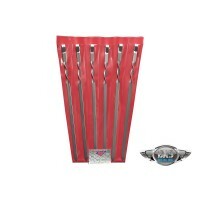 LONG LASTING: Our grills and accessories are made of highly durable, rust-proof 304 grade stainless steel, and are polished to a perfect shine. Easily cleans with a moist cloth or steel polish. Our products are designed to last a lifetime! EASY CLEANUP: The included charcoal tray comes equipped with side by side handles that allow for easy disposal of the charcoal ash. 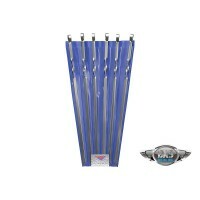 TESTED, PROVEN TECHNOLOGY: We’ve been selling these for over 15 years to individuals, and commercial chefs nationwide. RECOMMENDED BY HEALTH DEPT: 304 grade steel is recommended by the health dept as the safest and non-toxic material for meat preparation. 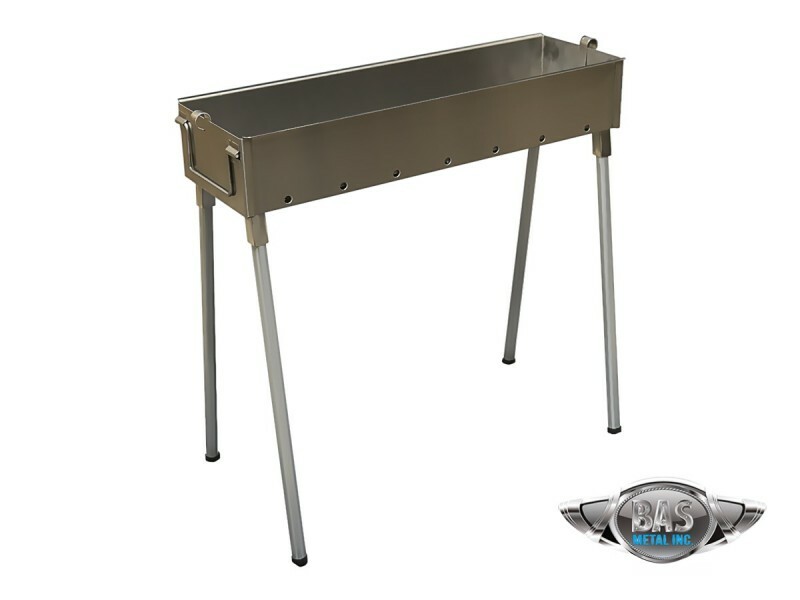 This package includes grill body, charcoal tray, 4 detachable Legs. All accessories are sold separate.